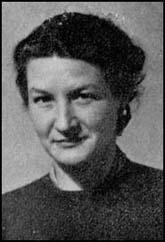 Virginia Hall was born in Baltimore, United States, on 6th April, 1906. Her father, Edwin Lee Hall, was a cinema owner in Baltimore. Hall was educated at Radcliffe College where she developed a keen interest in modern languages. She was a talented linguist and could speak French, Italian and German. In 1931 Hall was appointed to the staff of the American Embassy in Poland. Over the next few years she worked in Estonia, Austria and Turkey, where a serious accident resulted in her losing a leg. As the US State Department had a regulation that forbid the employment of people with "any amputation of a portion of a limb" and in May 1939 she was forced to resign. Hall was living in France when the Second World War began. She joined the French Ambulance Service Unit, but when the German Army invaded in May 1940, she left for England, where she found work in the US Embassy. 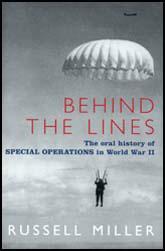 In 1941 Hall was recruited by the Special Operations Executive (SOE) and agreed to become a British special agent. Given the code name "Marie", Hall returned to France and while posing as a reporter for the New York Post helped to set up resistance networks in Vichy. In early 1942 Hall moved to Lyons and worked closely with the French Resistance in the area. By the end of the year German officials became suspicious of Hall and she was forced to leave the country. Hall, now representing the Office of Strategic Services, returned to France on 21st March 1944. After landing on the Brittany coast she joined the resistance in the Haute-Loire region of the country. The Gestapo were now aware of her activities and was known as the "lady with the limp". Despite this she was able to inform the Allies that the German General Staff had relocated its headquarters from Lyons to Le Puy. Awarded the Distinguished Service Cross by President Harry S. Truman in 1945. She joined the CIA in 1951 where she became an intelligence analyst on French parliamentary affairs. Virginia Hall, who retired from the CIA in 1966 and died at the Shady Grove Adventist Hospital in Washington in 1982. Outstanding among SOE's first agents in France was an American newspaperwoman from Baltimore, whose cover as the accredited correspondent of the New York Post was a valuable one. Her name was Virginia Hall. She was a tall woman with bright red hair, an artificial foot, which she named Cuthbert, and a remarkable ability to improvise. (2) After the war Virginia Hall was interviewed about her experiences during the Second World War. In 1943 I joined General Donovan's Office of Strategic Services for more adventures with the French Resistance. I became proficient in Morse code and radio operation, which made me invaluable. During the day, I appeared to be a milkmaid. However, at night I directed the Resistance Forces under me in many acts of sabotage and guerilla warfare. I relayed important information from haylofts via my radio to London. I was always keeping ahead of the Gestapo, whose leaders knew of me and wanted me captured. I never gave them the opportunity, my spirit and devotion to the cause carried me on. At the war's end, my country rewarded my efforts with the Distinguished Service Cross in 1945, the only female civilian in the war to receive this nation's highest military honor after the Medal of Honor!